Browsing » Brogi.info » Best » I due marò arrestati. Dicono di aver sparato a 33 km dalla costa, l’India dice 22…Ma quanti sono questi militari a bordo di navi italiane? E con quali compiti? 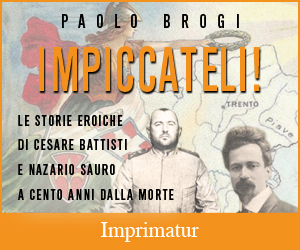 I due marò arrestati. Dicono di aver sparato a 33 km dalla costa, l’India dice 22…Ma quanti sono questi militari a bordo di navi italiane? E con quali compiti? I due pescatori indiani uccisi dai marò italiani si chiamavano Ajesh Binki (25) e Jalastein (45). L’Italia sostiene che sono stati colpiti a 33 km dalla costa di Kollam, in acque internazionali. L’India dice 22 km A sostenere che i marò italiani hanno sparato in acque indiane e non internazionali è il comandante generale della Guardia Costiera Occidentale Indiana, l’ispettore generale SPS Basra. I due fanti di marina, Latorre Massimiliano e Salvatore Girone, sono stati arrestati. Aldilà della specifica vicenda ci si chiede con quali ingaggi e mission ci siano fanti armati a bordo di navi commerciali italiane. After three days of high drama and nerve-wracking discussions, the Kerala police on Sunday arrested two crew members of Italian cargo ship Entrica Lexie, who allegedly shot dead two Indian fishermen (Ajesh Binki 25 and Jalastein 45) off the Kerala coast on Wednesday. police had given an ultimatum Saturday night after the ship crew and Italian authorities camping in Kochi sought more time to sort out the issue which was threatening to vitiate ties between two countries. However Italian authorities delayed the arrest citing many reasons including the impending visit of a delegation from Rome..
A murder case was registered against them at Neendakara costal police station. The arrested (names not disclosed now) will be questioned at Kochi police club and later produced before the magistrate. A team of eminent lawyers is camping in the city to assist Italian authorities. Though the police had sought the custody of six crew members later they zeroed in on two, believed to be Italian navy commandos, who fired at unarmed fishermen “If needed we will add more after questioning the arrested,” a senior police office said when asked about this. Throughout the talks Italian authorities insisted that India could not take action against them as the incident occurred in international water. However its claim did not wash with the regional commander of Coast Guard (west), inspector general SPS Basra, who said the fishing boat was in Indian exclusive zone when it was fired upon. Kerala Director General of Police Jacob Punoose also maintained that the firing took place in Indian waters and the country has every right to book them under Indian laws. The ball started rolling after the Prime Minister’s office sought a report from both home and external affairs ministries and Kerala chief minister Oommen Chandy toughened his posture calling it a ‘cold-blooded murder.’ The CM said the state would not allow the culprits to go scot-free and gave enough indications that the accused would be arrested soon. KOCHI: Kerala Police on Sunday took two Italian marines into custody for their alleged involvement in the killing of two Indian fishermen off South Kerala coast on Wednesday afternoon. The police gave the names of the detained persons Latorre Massimiliano and Salvatore Girone. They were taken from the Italian vessel Enrica Lexie which is being detained at Cochin Port since Friday. The Ernakulam Range IG Padmakumar told TOI here that they have been taken under section 302 of the IPC, which deals with murder cases. He said the duo have been detained for detailed interrogation. The marines have been later shifted to CISF Guest House in Kochi, and they will be questioned further by the police commissioners of Kochi and Kollam. Padmakumar said since the incident had happened in the ship, the captain of the ship was also responsible. The captain also accompanied detained marines along with the police. He said the Italian crew cooperated with the police during the interrogation. The arrest followed the Union home ministry giving the necessary clearance and the Italian crew agreeing to cooperate with the Kerala police in the investigations. Hectic parleys between the Italian officials preceded the arrest both in New Delhi and Kochi. A team of Italian officials had arrived in Koch on Friday itself for discussions with the Kerala police, while high level diplomatic dialogues were being held between the foreign ministry officials of both countries in New Delhi. Earlier, top officials of the Kerala police boarded the ship and questioned the crew. New Delhi wants the captain of Italian ship Enrica Lexia and two marksmen who shot dead two Indian fishermen to surrender to Kerala Police on Sunday after several rounds of diplomatic confabulations on Saturday culminated in a telephonic conversation between External Affairs Minister S. M. Krishna and his Italian counterpart. Rome wanted the three to be permitted to go in return for a joint investigation into the incident. But in the conversation late in the evening, Mr. Krishna turned down the offer an hour after Kerala Chief Minister Ooomen Chandy sought the Central assistance to persuade the captain and the two security personnel to give themselves up. Mr. Chandy said his government was left with no option but to arrest the Italians after receiving advice on the issue from the State’s Attorney- General, said government sources here. Mr. Krishna and the Indian Ambassador in Rome told the Italians that this was not a diplomatic row that could end with discussions. The question was that those responsible for killing two Indians must submit to the law of the land. The call from the Italian Foreign Minister capped a hectic day of activity in Rome, where the Indian Ambassador was offered options such as the despatch of a multi-Ministerial team to Kochi and a high-level investigation of the incident.